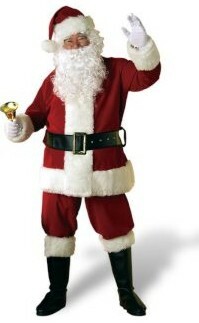 Did you know that Santa Claus is not real, he has no brother, no sister, no mum, no dad and no wife,he has NO family at all because he does not exist.If kids dont know this when Santa enters your house it isnt really him, its just a fat bloke wearing some next red suit with white fluff on the side.oh and by the way he has been described toooo FAT to be able to fit down your thin chimney. And for all the people that thought that santa was real im really sorry to kill your joy at christmas now. YOU IDIOT!! i believe in santa claus and just because you dont believe doesnt mean you have to ruin the spirt for all the little kids out there!!! But how come I don't receive any even a coal. I believe more in Jesus Christ, Christmas is suppose to be about Jesus Christ not Santa. Isn't that, coz it is believed that it's his birthday, though not the exact date. We celebrate Christmas because we believe that it was Jesus Christ's b-day. that is not true!! santa claus is real... But you just haven't seen him so you don't believe in him!!!!!!!! you idiooot! santa really exists because in reality he is St nicholas! ans you just want to ruin christmas joy for the children!! Your stupid he is real your probaly just sad because your naughty and all you get for christmas is coal! Santa don't give him anything for Christmas! You have to believe or you will never catch a glimpse of him. He stays far away from those who are mean spirited and completely selfish. And thats why this schmo has never been visited by Santa Claus.. All of you out there who wonder... He's real. I promise. I knew it! He doesn't really exist.No one could ever survive to north pole anyway. Join in and write your own page! It's easy to do. How? Simply click here to return to Bizarre Facts.